Interested in the discussion on tech for good and responsible uses of artificial intelligence and robotics? 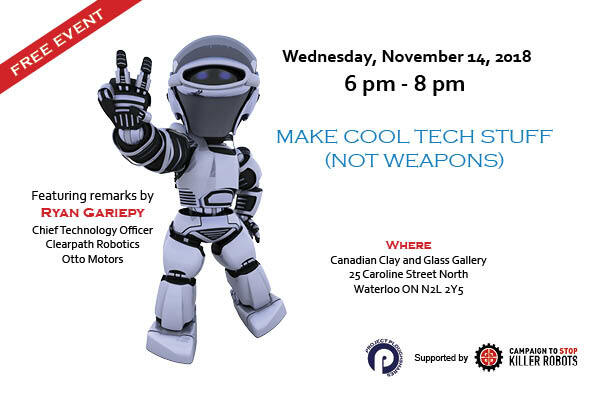 Join us in Waterloo on November 14 and hear Ryan Gariepy, Chief Technology Officer of Clearpath Robotics and Otto Motors, speak about the issues of autonomous weapons and the need for an international treaty banning these weapons systems. In 2014, Clearpath Robotics became the world’s first robotics company to pledge not to make ‘Killer Robots’!